The Palette buttons. Click a palette name to show that palette. 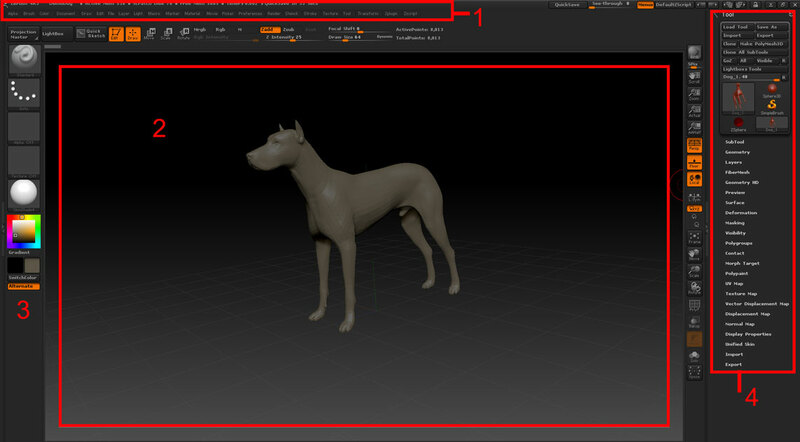 Palettes are arranged for particular ZBrush features. The Reference Guide explains them in detail. The Document area or Canvas. This is where all the drawing, painting or sculpting work is done. The Left Shelf. The shelves to the left, top and right of the Canvas hold those items that are most useful. You can hide or show the shelves by pressing TAB on the keyboard. A palette is docked in the Right Tray. Palettes can be docked in the right or left tray to make selection of their options easier. A Tray can be shown or hidden by clicking the dividers on its inner edge. To explore the Interface in more depth see the Interface Overview page. Some of the larger sub-palettes are divided into sections (sometimes called UI Groups). To open a section, click on its name. 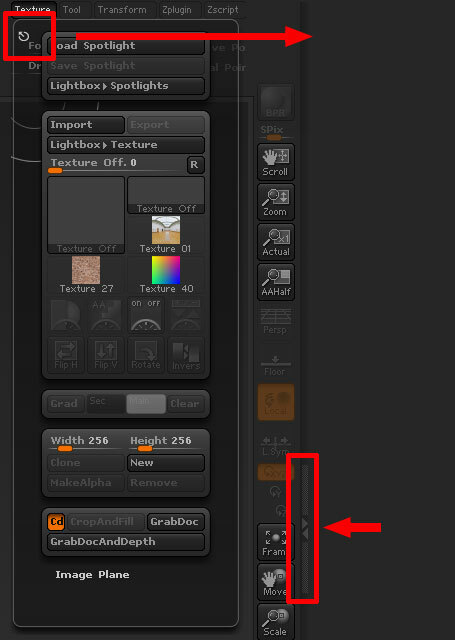 By default, only one section is open at a time; to open more than one section, Shift+click the section name. You can change this default setting if you wish by turning off Preferences>Interface>UI Groups>AutoClose UI Groups. For more information about palettes and sub-palettes see the Interface Operation page.